Coach's Corner - JFK hand signed/matted & certified "Presidential" poster. 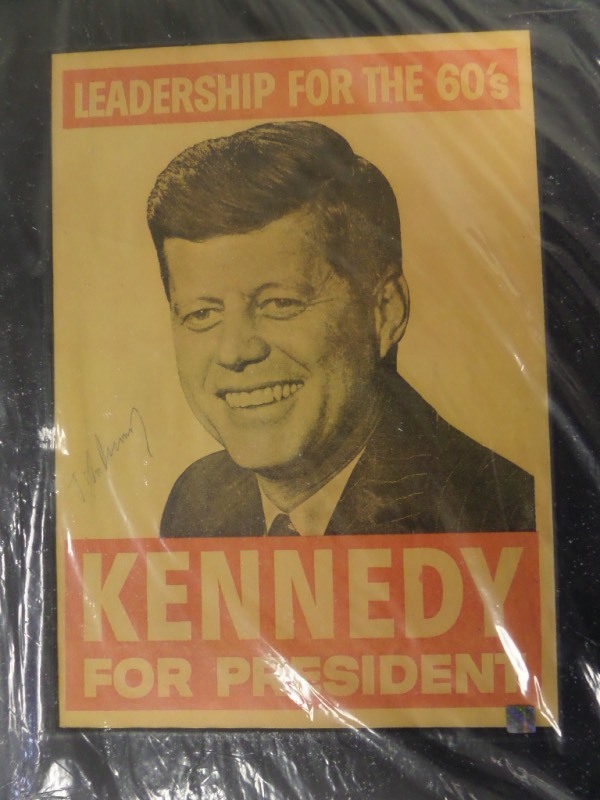 Go Back to Lot List JFK hand signed/matted & certified "Presidential" poster. This super cool, really well done political poster is matted to 16x20, and features a vintage 1960 era "Kennedy for President" poster. It comes ink signed by the late, slain former President, signature is an honest 7 or better, and show off is easy from 15 feet away. It has a hologram and lifetime LOA intact from Forever Authentics, and value is $2500.00 on the super solid future Great American investment.